The Daily Mail this week ran one of the saddest stories I have read, and it was a prime example of why Isabel exists; patients must not put all their faith in their doctors but should also inform themselves of the possible diagnoses of their illness. I have written on this topic several times but few stories demonstrate so clearly why patients, for their own safety, must become as knowledgeable as they can and, most importantly, follow their instincts. The story covers the death of a 1 year old child William Mead from sepsis (yes, another sepsis case!) after a very delayed diagnosis of pneumonia. William was taken by his parents to see GPs 6 times over the 2-3 months he was ill. The mother also spoke to NHS 111, the NHS’ non urgent, 24hr telephone service. As usual, the fairly obvious and worsening symptoms of a sick child were shrugged off until it was too late. The NHS report (not yet published but seen by the Daily Mail) highlighted 16 missed opportunities to have provided the right care. William died at home during the night. However, the key issue in this story is not so much whether tools like Isabel would have got the diagnosis in the first place and stopped the issue before it began, but how important it is for patients to be informed and follow their instinct. What stood out in the story was how accepting William’s parents were and how they believed what they were told. They put their full trust in the doctors and system and did everything asked of them over a period of 3 months. Not once did they appear to sidestep their GP or NHS 111 and go straight to hospital, or stamp their feet and demand their son be seen by a senior clinician. Maybe they were the doctors’ ideal patient? I can understand these parents’ way of thinking, as I was exactly the same when Isabel fell ill. I had had almost no experience of healthcare and thought doctors (even junior ones) knew everything; I trusted what they said. The other dangerous point is that, particularly with your child, you want to believe that it’s nothing serious, therefore, you so easily accept the good news and words of reassurance. But I wonder what the doctors who saw William would say now? I bet they would wish that William’s parents had been more ‘difficult’, more demanding, and asked more questions. 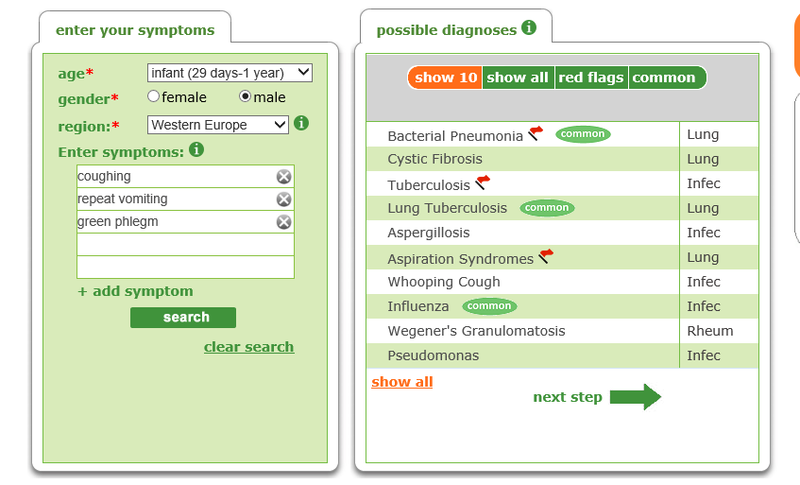 Perhaps if the parents had gone online, even if not to validated tools such as Isabel, they may have come across and suspected sepsis or something equally serious, and ignored the reassuring comments from their GPs. The simple reality is that most industries do better with informed customers. You wouldn’t expect to buy a house, for example, without first checking the building is sound, the market price is correct, and the surrounding area is suitable for your needs. This all requires previous research and knowledge that the customer brings to the deal. It’s actually dangerous when an individual professional, such as a doctor, is unchecked and full trust is put solely in them. What this shows is that patients MUST take more charge of their own health. However much they feel vulnerable, and want to or have been told to put full trust in their doctors, they MUST get informed and learn all they can so they can ask the right questions and know when not to trust the answers they get back. It really is a matter of life and death. It’s so important to #knowyoursymptoms and follow up on anything that doesn’t feel right to you. If you think something isn’t adding up, it probably isn’t. Trust your instincts and start asking questions. 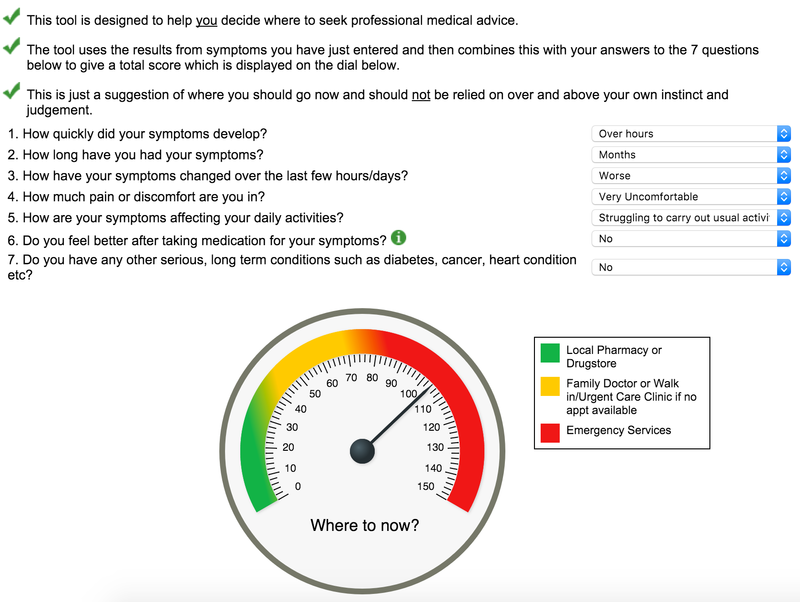 If you suspect anything, run your symptoms through the Isabel symptom checker and use our ‘Where to Now’ function to determine whether urgent care could be needed.